GROOM AND GROOMSMEN WEDDING SET. 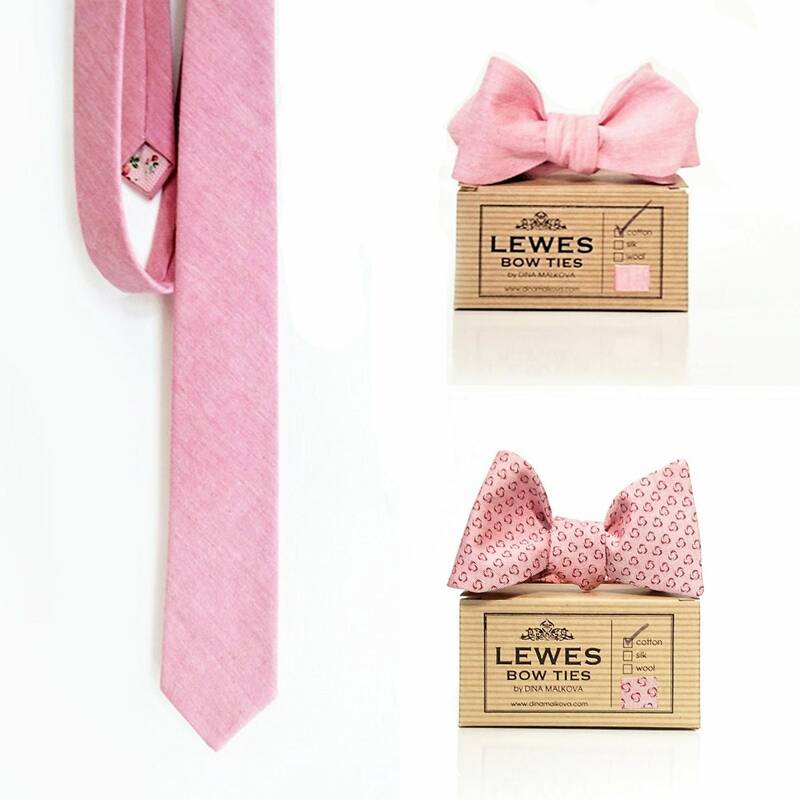 A set of pink chambray neck tie, one matching pink chambray bow tie and one pink chambray bow tie with tiny dots. A beautiful set suitable for any wedding. Bow ties are self tie and adjustable to fit neck sizes 15"-18". You can request bow ties to be pre-tied.